Totopoly since the 30's is one of the greatest family board game; appreciated worldwide, played in two phases using both sides of the board; after 80 years totopoly is still a 100% fun time ! Events cards - Pad - 2 dice - Stickers and Rules leaflet. 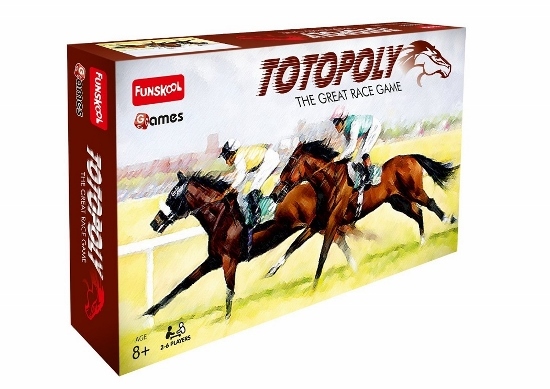 the better is their chance to win, but in this race there is not a sure winner 'cos a long shot can suddendly change the final outcome: Totopoly is an exciting board game !